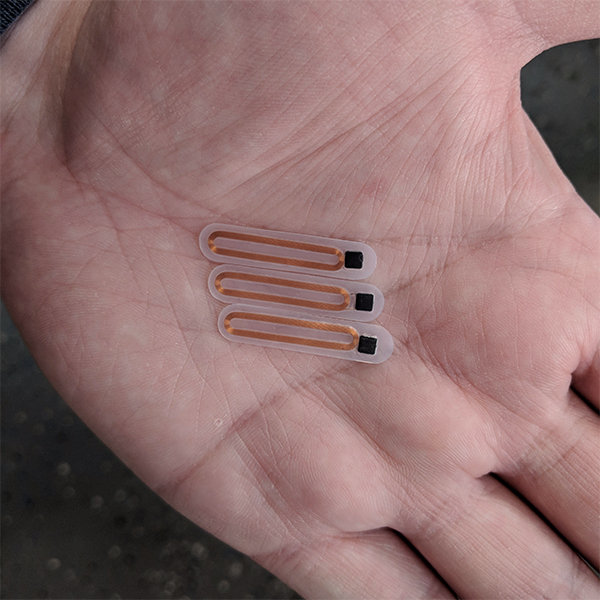 The FlexDF microchip implant is a type 4 NFC MIFARE DESFire EV1 chip and is generally used for cloning transport cards. This implant is £350 (£100 deposit required upon booking). This chip platform is ideal for service providers wanting to use secure multi-application smart cards in public transport schemes, access management or closed-loop e-payment applications as it can hold up to 28 different applications and 32 files per application. The FlexDF microchip implant insertion takes around ten minutes via scalpel incision. We use non-dissolvable suture stitches to close the 8mm opening which will need to be removed around 8 days later. The swelling will dissipate over 2 weeks.